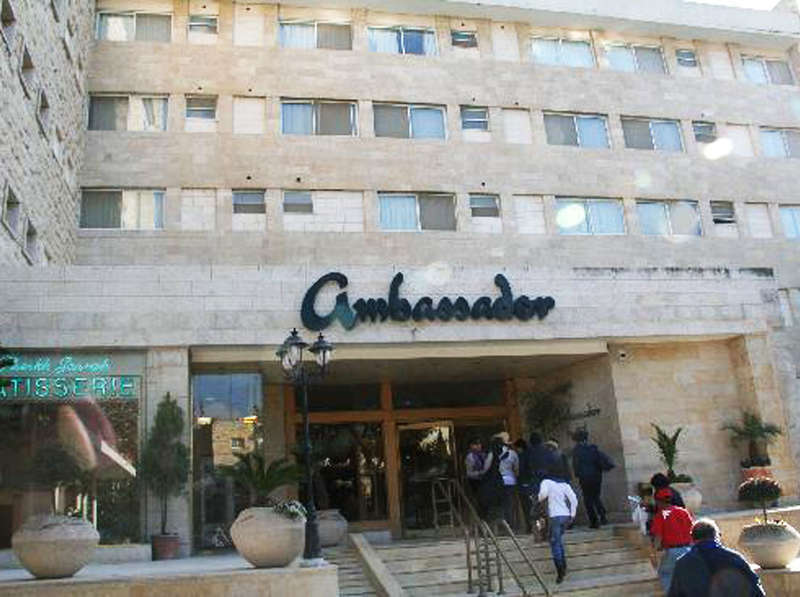 The Ambassador is one of the first hotels in East Jerusalem, located in the consulate district, it is a 20-minute walk from East Jerusalem's commercial district, the Old City and holy sites. The cozy rooms, while simply decorated, offer all of the modern conveniences that guests would come to expect of a hotel. The complimentary Wi-Fi is a treat for the traveling businessman who wants to work in the privacy of his room. The sumptuous marble bathrooms and the large inviting beds all add to a wonderful experience. The windows open up to stunning views. The Fitness Center offers a range of equipment including elliptical machines, treadmills, free weights, floor mats along with flat screen TVs and the latest music. Relax and detox in our teak wood sauna. The heat is sure to release any stress while you rejuvenate with healing aromas! Overlooking the swaying palm trees and tropical flowers surrounding the Ambassador's garden enjoy a simple meal and a relaxing cocktail (alcoholic or non-alcoholic). 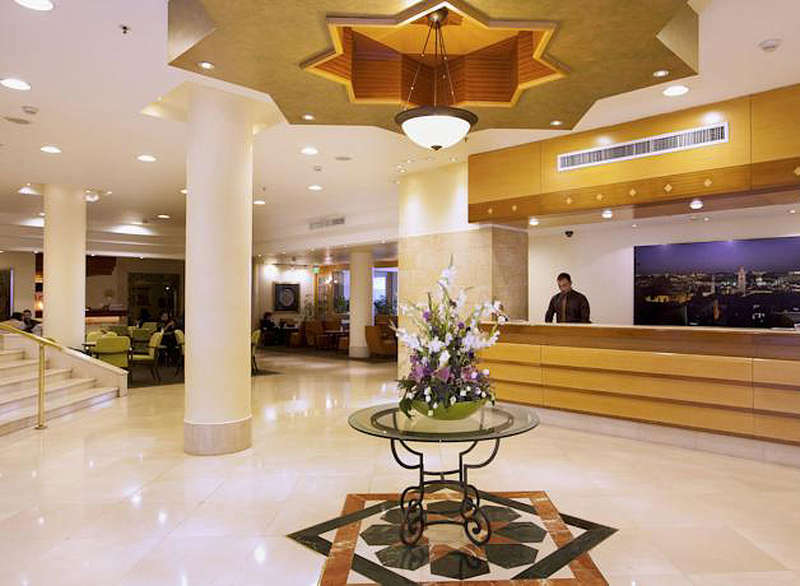 Hotel Ambassador offers free parking, and is set on the edge of the Sheikh Jarrah neighbourhood. The Ambassador's Conference Room is designed with elegant decor using neutral colors to create a professional atmosphere. Featuring executive chairs a boardroom table, adjustable lighting and audio-visual equipment, it is perfect for hosting meetings. The Ambassador Hotel is in the consular area of the city. 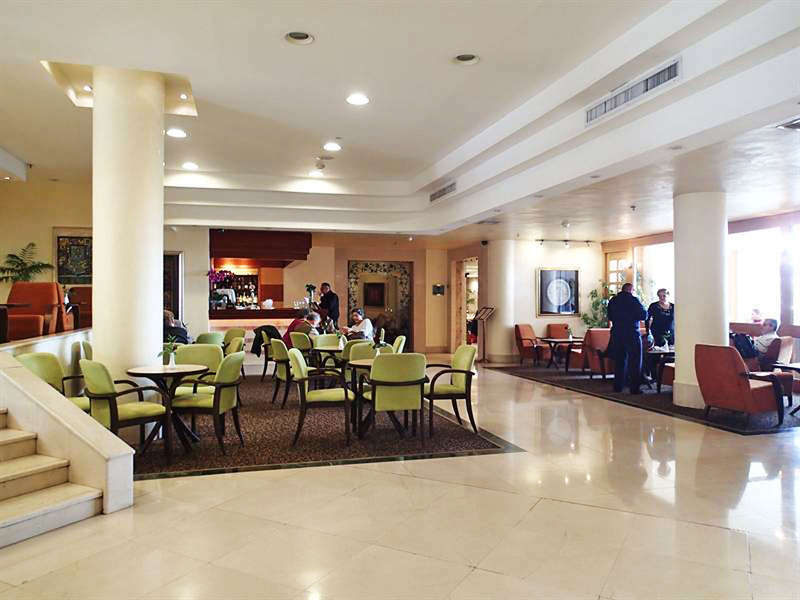 The hotel is 250m away from Saint George's Cathedral, Mount of Olives and Mount Scopus Botanical Garden. By staying at Ambassador, you will be close to many attraction and landmarks such as Tombs of the Kings, Garden Tomb and Jeremiah's Grotto. Proximity to Ben Gurion (TLV) Airport is 35 km. If cancelled or modified up to 2 days before date of arrival, no fee will be charged. If cancelled or modified later or in case of no show, 100% of the first night will be charged. All children under 2 years stay free of charge when using existing beds. One child under 2 years stays free of charge in a child's cot/crib. One older child or adult is charged USD 20 per person per night in an extra bed. The maximum number of extra beds/children's cots permitted in a room is 1. Supplements are not calculated automatically in the total costs and will have to be paid for separately during your stay.